I’ve come across a World Books, Special Edition for its “members only” in their series: a Reprint Society 1957 edition of Chatto & Windus’ 1955 A CENTURY OF WRITERS 1855 – 1955. Clive Warner’s fifteen page introduction has caught my interest. His explanation of the origin of Chatto and Windus and its development is a revelation; revealing as it does, the circumstances and the role of the characters flags-up some familiar names. From it, there is sense of what exists today, generally: in the paper, book publishing we have today. I’m still working my way through this gem; enjoying the writings of the iconic authors within it. Huxley, Twain, Lagerkvist, Belloc, Bennett, Faulkner, Jerome, Strindberg, Hughes, Montagne, Ouida, Powys, Pritchett, Tchehov, Poe, Bell, Empson, Fry, Jeffries, Knight, Strachey, Swinburne, Dickinson, Eberhart, Monro, Nichols and Shaughnessy are waiting to be read. There are also inserts amongst the writing in this book that relate to periods in the publishing house’s history. Warner tells us that John Camden Hotten founded Chatto & Windus in its early form: when it wasn’t called that. Now, it’s renamed again to Randomhouse. Andrew Chatto took over John Camden Hotten’s created book publishing business in 1873; buying it from Hotten’s widow for £25,000. W. E. Windus joined Chatto shortly after that. Oliver Warner describes Percy Spalding joining Chatto and Windus in 1876. Warner tells us that Spalding and Chatto’s descendants guided “the long and prosperous middle era of the firm”. Many tributes to and validations of the firm are revealed to us by Warner in his introduction to the Special Edition. He cites Hotten’s “beautiful” Chiswick Press edition of the Prayer Book. His History of Sign Boards (1886) was in great demand. He also published a History of Playing Cards. Hotten’s business head, Warner wants us to realise or note, meant that he saw the commercial sense in dedicating his History of Playing Cards to one of his cache of successful, published authors. In that way, killing two birds with one stone by both promoting that long popular author: Thomas Wright and the book therein dedicated. Having the book illustrated by van Schevichaven did no harm either. Warner tells us more. Hotten, after paying Bertrand Payne £200 for it, published Swinburne’s Poems and Ballads. Most of Swinburne’s work was then handled by Hotten. Later, Chatto & Windus took over Poems and Ballads from Hotten. Windus published his own book of verse during the early days of C & W. The end of that work had a forty page long catalogue of the books they were publishing at that time “still full of Hotteniana”: the titles he had acquired over the early years. There were listed: Poems by Charles and Mary Lamb; books from Mayhew, Hook and Swinburne. Andrew Chatto and Percy Spalding added Besant, Collins, McCarthy, Ouida, Reade, Stevenson and many others, Warner reveals; also, Hardy and Trollope. American writers were also gathered in: Mark Twain, Bret Harte, Artemus Ward, Oliver Wendell Holmes, C. G. Leland, J. R. Lowell, Edgar Allan Poe, Walt Whitman and “others important in the history of American letters”. Oliver Warner tells us that in 1901, roughly thirty years after Hotten died, an Indianapolis literary society moved to place a tablet in their library to “J. C. Hotten, the famous Piccadilly publisher … as an acknowledgement of his services in introducing certain famous American authors to the British reading public”. Andrew Chatto and the firm, we are told, were later well thought of by “the trade” and its writers. Sir Walter Besant the first President of the Society of Authors, is said by Warner to have once remarked “I should like to see my friend Chatto driving in a gilded coach!” R. L. Stevenson also wrote of C & W “Your fair, open and handsome dealings are a good point in my life …” D. H. Lawrence, we are told, once spoke of the Victorian heads of C & W as his “old-favoured folk”. Notable for the reader of A CENTURY OF WRITERS, Warner’s introduction mentions the arrival of “a whirlwind” Philip Lee-Warner at the firm in 1905. He founded the Medici Society vehicle to produce “excellent but expensive” art books. Sir Israel Gollancz was his General Editor for C & W’s King’s Classics and their Medieval Library series. Philip Lee-Warner also introduced Geoffrey Whitworth and Frank Swinnerton to the firm. Whitworth was the British Drama League founder. Swinnerton, amongst other things, authored The Georgian Literary Scene. Authors of the time, we’re told, liked to pop into the publisher’s office. George R. Sims, author of It Was Christmas Day in the Workhouse, often did that. Chatto and Windus began magazine publishing. The Gentleman’s Magazine (1731 to 1922); The Belgravia from 1866 to 1899 (Hardy’s The Return of the Native first appeared in it). They published Jerome K. Jerome’s Idler magazine from 1892 to 1911. 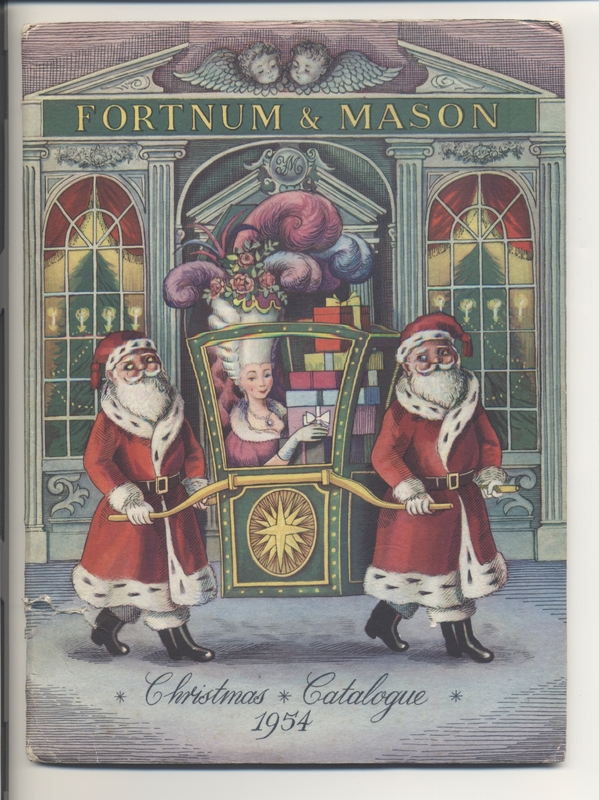 C & W began to publish Christmas catalogues for famous department stores. I sold the one pictured below, on EBay recently.